Priya Berde is now known as Priya Arun who hails from Marathi movie industry more than the B Town films. The chance in her name is for the obvious reasons of getting married to a veteran Marathi actor called late Laxmikant Berde whom she got married on 10 July 1996. She was born on 7th August 1967 in Kolhapur wherein she did her schooling and college. Her love for acting brought her to Mumbai and soon with a brief struggle, she got the chance to work in Marathi cinemas like Ashi Hi Banwa Banwi and Rangat Sangat. 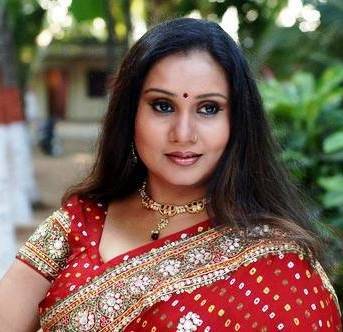 Her earlier Marathi movies include Maskari (1991), Yeda Ki Khula, Dharal Tar Chavtay, Ghanchakkar, Kuthe Kuthe Shodhu Mee Tila and to name a few. She then got Bollywood movies, which include Dharala Tar Chavtay, Ek Gadi Baki Anadi, Thartharat, Hum Aapke HaiKaun, Bajrangachi Kamaal, Anari, Deedar, Beta and Aflatoonare some of her earlier B Town films. Some of her recent movies include Ajunahi Chand aat Aahe, Nana O Nana, Bhagya Lakshmi, Mala Anna Vhaychay, Premasathi, Yoddha, The Strugglers – Amhi Udyache Hero and Uchala Re Uchalato name a few. Talking about her personal life, she is a widow and never married the second time. She loves food and likes to make food.